The term professional development (PD) has taken on many incarnations during the time I've been involved in education. When I first starting teaching, professional development was constructed in a very traditional format. It usually came in the form of a speaker, and the staff listened. More often than not, PD was an extremely passive experience. As with any paradigm, change is inevitable. And, with professional development, change was coming. For me, that change happened May 22, 2010 on the campus of Drexel University in Philadelphia. This was the day that the Edcamp Philly team launched the first Edcamp Unconference. At the time, Edcamp was just an idea that I'd heard about from fellow Edutopia blogger Mary Beth Hertz. I clearly recall asking her several questions about this event and how I should prepare. Did I need to bring a presentation? When should I sign up? What was a good topic? Who was going to be there? And the list went on and on. By the end of the week, I imagine Mary Beth was about done with my emails that had "Edcamp Question?" as the subject line. Edcamp was still something new. And while the concept was familiar (see BarCamp Philly), Edcamp's place in education was unknown. Additionally, would this model for PD catch on and make an impact on teaching and learning? 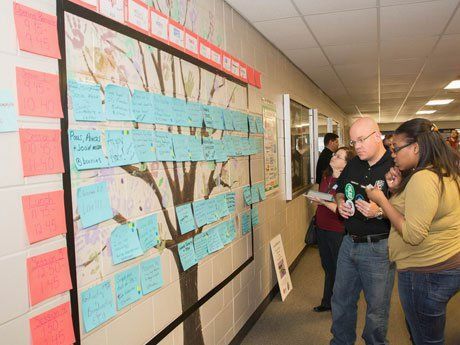 Nearly five years later, the term Edcamp has become a mainstay in the educational lexicon. It's been adapted, remixed and hosted all over the world. 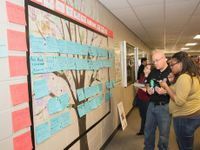 The Edcamp model has not only made an impact, but it has sustained and continues to grow -- so much so that it took over the United States Department of Education during the summer last year. What's more, this model of PD has inspired educational leaders to synthesize it into their respective schools. Personally, it has inspired me in my work as a technology specialist and director over the past three years. Whether the professional development focuses on technology, pedagogy or both, the Edcamp model is great way to make the most of your PD time. School leaders and administrators should be open to trying this model in their respective schools, providing time for teachers to have conversations, explore ideas, share work, listen and experiment. This, in my opinion, is the foundation of successful PD. To begin, let me share some ideas on incorporating an Edcamp model into your school's PD plans. Many professional development models are a passive experience. While this method is not completely ineffective, it's not ideally the best use of teacher PD time. Instead of having meetings, promote conversations. Introduce an Edcamp-style blank schedule at your next faculty meeting. Encourage members of the faculty to post an idea, question or topic to the board, and allow ample time for teams to coordinate around these ideas. Invite staff to return after a set amount of time to share what was discussed in the session. Finally, archive these meetings on a shared Google Folder or possibly a Google site for reference. I developed summer learning opportunities using the Edcamp model. These sessions were held every Tuesday in the summer from 9 AM to noon and featured an open space for sharing and collaboration. Also, they were not mandatory but optional, and teachers would receive PD credit for attending. The day started much like an Edcamp, with a blank schedule and options for attendees. During the last hour or so of our Tuesday events, we would have a learning smackdown. This featured attendees sharing ideas on what they'd learned throughout the day. I helped a group of my Help Desk students organize and run an Edcamp as a class project. They had to design the event structure, create a website with information, solicit sponsors, and make sure the event went off without any flaws. I served as an advisor for students during this project, but did not take over any of the planning. The event was theirs to own, and they designed and organized a great day of learning for teachers around the New England area. On the day of the event, students prepared the opening remarks, assisted attendees as needed, and presented several sessions. Ultimately, this event was a tremendous learning experience for the students involved. I developed Community Tech Nights that are held once a month. These events share what's happening with education technology in our schools. It's open to everyone in the community and features short presentations followed by hands-on workshops. The subjects change monthly, featuring tools and apps that students and teachers are leveraging daily in the classroom. For school administrators, cultivating a culture of shared learning is essential when establishing new initiatives. Whether these initiatives are related to technology or pedagogy, administrators want to offer a variety of options for learning and seek out ways to differentiate professional development. Additionally, it's essential to encourage conversations, exploration and sharing within PD paradigms. And finally, encourage staff to take educated risks and promote classroom innovation. There's always the chance that this practice could go wrong or fall short of expectations, but consider it a learning moment. It's not a failure until you quit.